Favorite Quote: "No matter how good an individual on the team might be feeling about his or her situation, if the team loses, everyone loses." 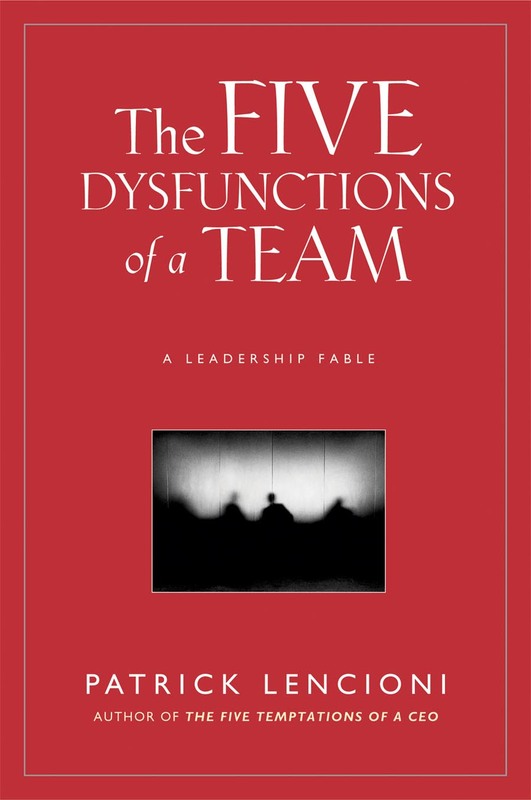 About three, maybe four, years ago I read The Five Dysfunctions of a Team for the first time. Now to be honest; Charity actually read the book to me while were driving home from a weekend in Big Bear with my family (and I'm pretty sure that Sophie was sleeping the back seat). The first time I read the book I was in an interesting leadership situation. Now it was fun to re-read this book in my new role of leading a team and helping to lead a campus. I love how Lencioni writes this book because its helps me get the situation. He actually writes a leadership fable where he gets his points across through a story. 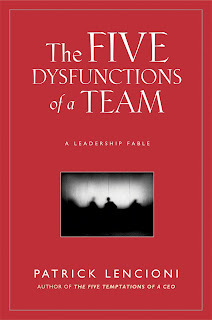 As I've read this book, been in leadership, been on good teams and been on dysfunctional teams I have to say that I recommend this book to anyone in or under leadership. The thing that I need to work on now is to help our team have trust, engage in healthy conflict, commit to our mission, do what we are going to do and care more about the success of the team.